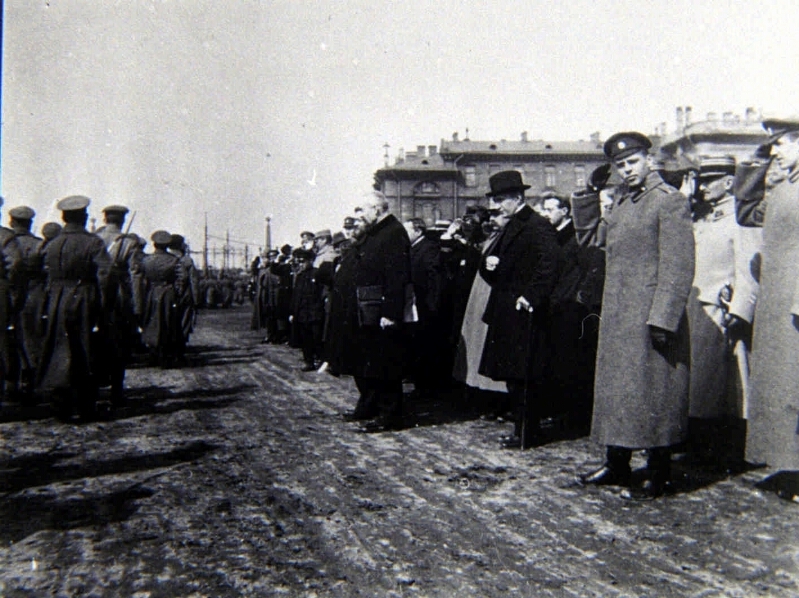 On the right - AF Kerensky (with a cane). Russian State Archive of Film and Photo Documents. http://www.rgakfd.ru/. 1. Lvov, Georgiy Evgenievich (1861 - 1925) - Photographs. 2. Kerensky, Alexander Fedorovich (1881 - 1970) - Photographs. 3. Power (collection). 4. Documentary photos.